Kevin Lynch Hurling Club present our 'Annual Find Insurance NI Golf Classic' on Saturday 24th May at Roe Park Resort. For tee off times and to book a place contact Rodney O Neill 07902932324 or Bj Lagan 07746529701. Awards presentation 8.00pm in the Arcade Bar. Four Balls £120. 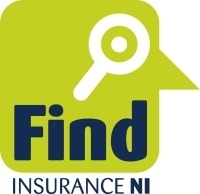 Click Logo to view the Golf Classic sponsor Find Insurance NI's website.